Win THE BEACH HOUSE COOKBOOK by Mary Kay Andrews! I love Mary Kay’s novels and I know she’s one of the great Southern cooks, so I was thrilled to learn she was working on a cookbook. It turned out to be a cookbook to treasure! Make sure you read this entire post – find out how to win your own copy, there’s a recipe for you to try, a list of places you can meet Mary Kay, and of course, my review. I’ve been following Mary Kay on Facebook for years, and she shares a lot of recipes and pictures of her beautiful food. To have it all gathered together (with lots more) is a real gift. The paper is quite nice and the pictures are inspirational. The “Summer Solstice” is the first chapter and a fantastic beginning. I’ve been making “Beyond the Grave Chicken Salad” since I read about it in Little Bitty Lies. I’m pretty sure that a good southern gal like Mary Kay most likely uses Duke mayo, but I’m a Hellman’s girl and it works beautifully. I tried the “Tomato Pie” a few weeks ago when I got an overwhelming pile of heirloom tomatoes from my CSA, and it was to die for! If you live anywhere besides Florida, you are coming into tomato season so try and remember to make this. Pimento cheese has become a trend, and I’ve made a few different recipes so I had to try Mary Kay’s “Ritualistic Pimento Cheese.” It made a killer grilled cheese sandwich. The “Low Country Boil” has some great recipes, and again my CSA to the rescue for Fried Okra Cakes. Like Mary Kay, I’m not a big okra fan but this dish made a convert out of me. I have to try the “Peach and Berry Cobbler” soon, Florida peaches are starting to come in and berries are already here. The “Fourth of July” recipes include “Edna’s Potato Salad” which is a simple recipe and a real crowd pleaser. The “Lazy Weekend Brunch” has a terrific recipe for “Pig Candy” – really! It’s candied bacon with a healthy dash of cayenne and some dry mustard that makes it really stand out. The “Book Bash Cocktail Party” includes a great recipe for “Smoked Trout Dip.” We love any kind of smoked fish dip and this is a real standout with fresh dill, chives, and some prepared horseradish. The “Marinated Beef Tenderloin with Fig Onion Jam” is another winner – that jam is to die for! I haven’t attempted the “Dark Chocolate-Dipped Cheesecake Bites,” (they sound too dangerous to have at home) so the next office pot luck will be the recipient of these goodies. The “Full Moon Party” includes a super easy recipe for “Cheesy Beer Bread,” and in my house any recipe with cheese is a sure thing. I am waiting for our next backyard cookout to try “Boy Howdy Baked Beans” with maple bacon and bourbon – Yum! I could go on for days but I will end here with the classic, Southern “Shrimp and Grits” from the “Christmas Brunch” chapter and let me tell you, this is simply divine and a true Christmas gift. Follow that up with a “Coconut-Rum Fruit Salad,” (although I will not buy jarred citrus – I live in Florida, it’s probably illegal here!) for a light, slightly boozy dessert. Now for that promised recipe! To win a copy of THE BEACH HOUSE COOKBOOK by Mary Kay Andrews PLUS the new paperback edition of The Weekenders, please send an email to contest@gmail.com with “BEACH HOUSE COOKBOOK” as the subject. All entries must be received by May 14, 2017. One (1) name will be drawn from all qualified entries and notified via email. This contest is open to all adults over 18 years of age in the United States only. Your books will be sent by the publicist. 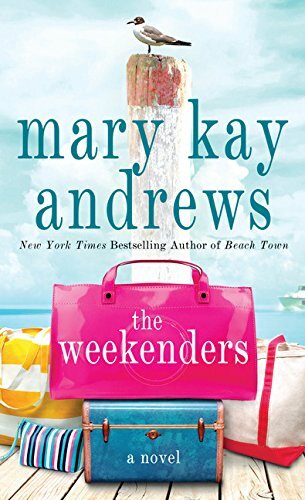 MARY KAY ANDREWS is the New York Times bestselling author of 24 novels, including The Weekenders, Beach Town, Save the Date, Ladies’ Night, Spring Fever, Summer Rental, The Fixer Upper, Deep Dish, Blue Christmas, Savannah Breeze, Hissy Fit, Little Bitty Lies, and Savannah Blues. 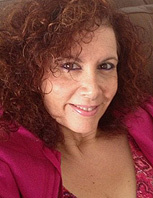 A former features writer for The Atlanta Journal Constitution, she finds an outlet for her passion for cooking, entertaining, and decorating with vintage finds at the homes she shares in Atlanta and Tybee Island, Georgia, with her husband, Tom, and their two grown children, Katie and Andy, as well as grandchildren Molly and Griffin. THE BEACH HOUSE COOKBOOK is her first cookbook. This entry was posted on Thursday, May 4th, 2017 at 3:11 PM and is filed under Book Reviews, Contests, Cookbook, Nonfiction. You can follow any responses to this entry through the RSS 2.0 feed. Both comments and pings are currently closed. 2 Responses to Win THE BEACH HOUSE COOKBOOK by Mary Kay Andrews! Wish I had a chocolate panna cotta with strawberry coulis right now.